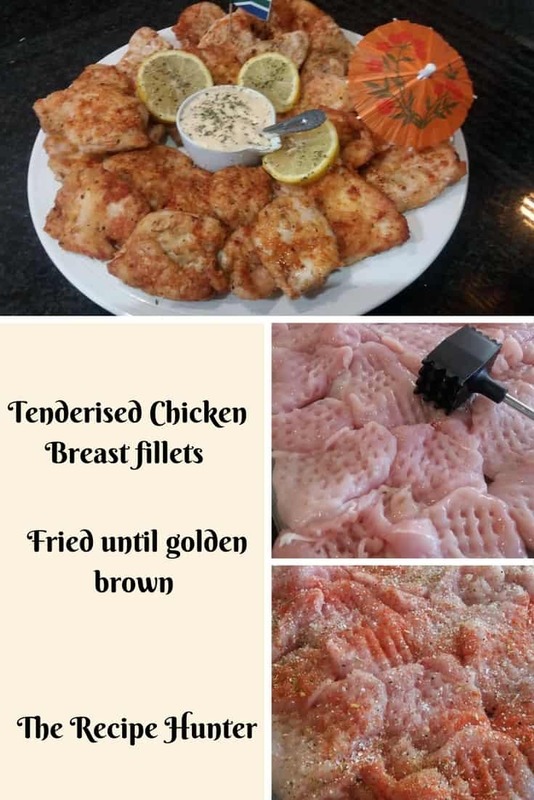 Tenderized chicken fillets with meat tenderizer hammer. Dip in flour mixed with above spices. Fry in shallow oil until golden brown.